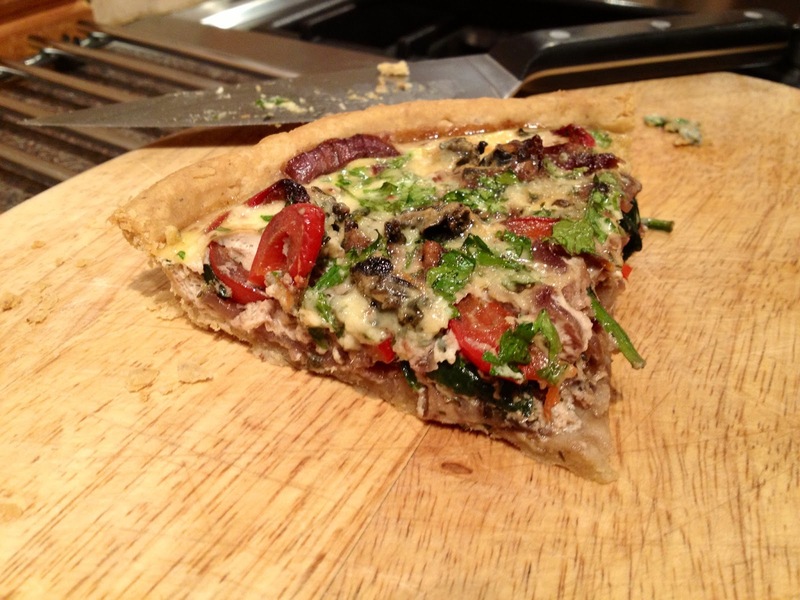 This week for Sunday Bakes I decided to go down a slightly different route and do something savoury. I was getting a bit bored of all the cakes and biscuits, plus I still have some of last week’s lemon drizzle left so I thought it would be a good idea to go for a savoury bake this week. 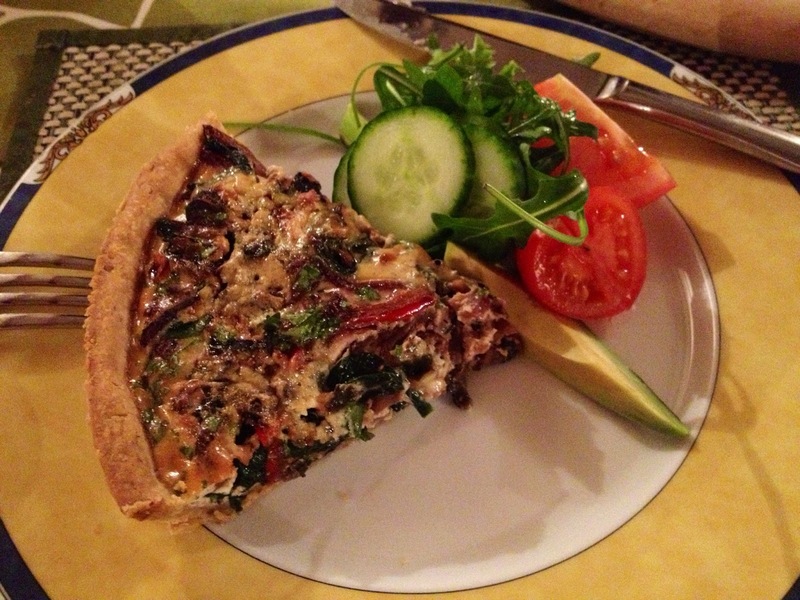 Having made my family participate in a tasting evening for a project of mine last night, everyone was feeling fairly stuffed and wanted a lighter dinner today so I combined the two and made a savoury tart for our tea. I’m more of a savoury than a sweet person so I actually got really quite excited about this. I’ve never made pastry before so I was looking forward to giving it a go and found it easier than I expected. I particularly liked the idea of putting nuts in the pastry, I saw this in a Mary Berry recipe and as she’s the official Queen of baking decided to try it out. I made my own pastry because firstly, I wanted to give it a go and secondly, I figured it’d be cheating a bit if I did a Sunday Bake with the ready made stuff, but if you don’t have time or just can’t be bothered with the faffing about, use a shop bought shortcrust pastry and follow the instructions for the filling. A slice of this makes a great lunch or light dinner with a salad, and I’ve stuffed so many vegetables in, it’ll definitely be making a good contribution towards your five a day. 1. 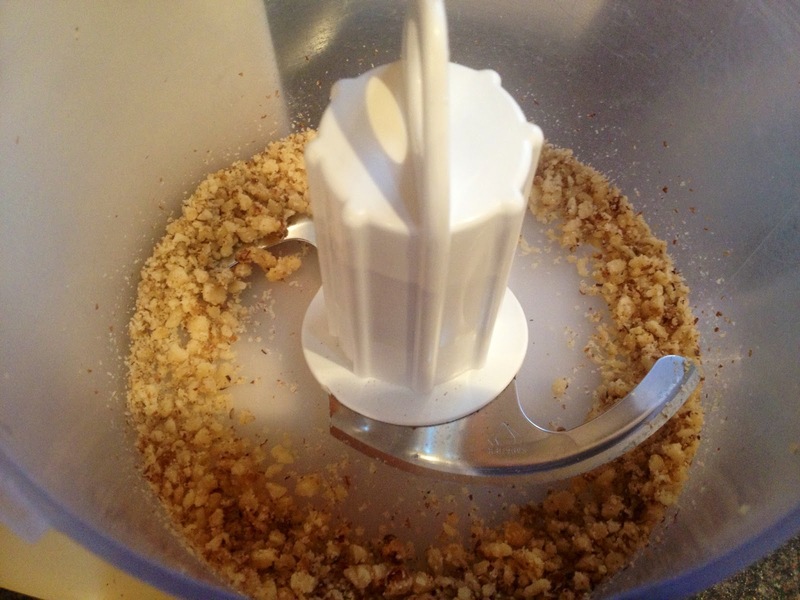 In a food processor start off by blending the walnuts until fine enough to mix in with the pastry. 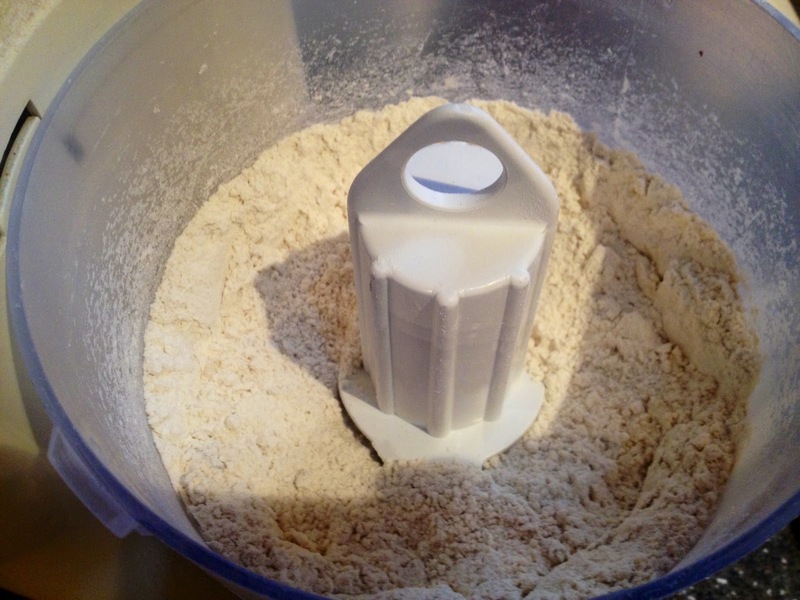 Then add the flour and salt and process until the mixture looks sandy. 2. 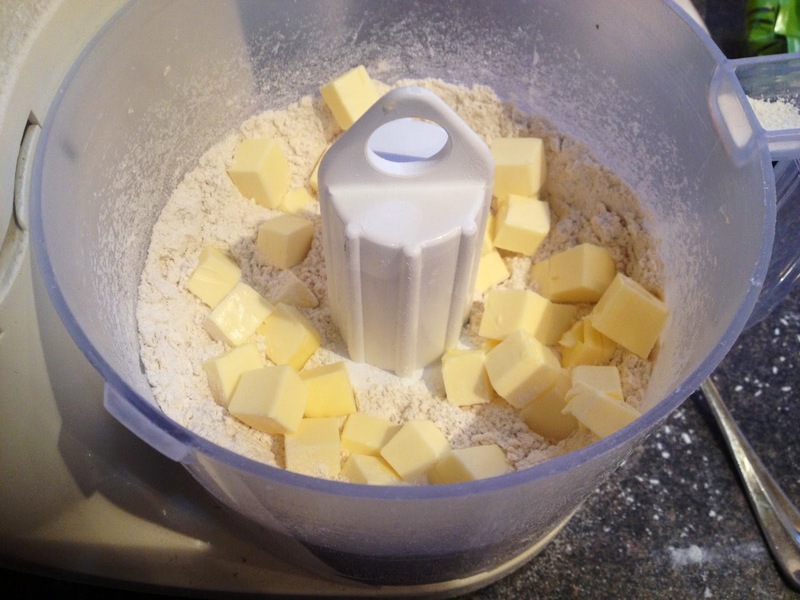 Add the butter in cubes and process until the mixture resembles breadcrumbs. 3. 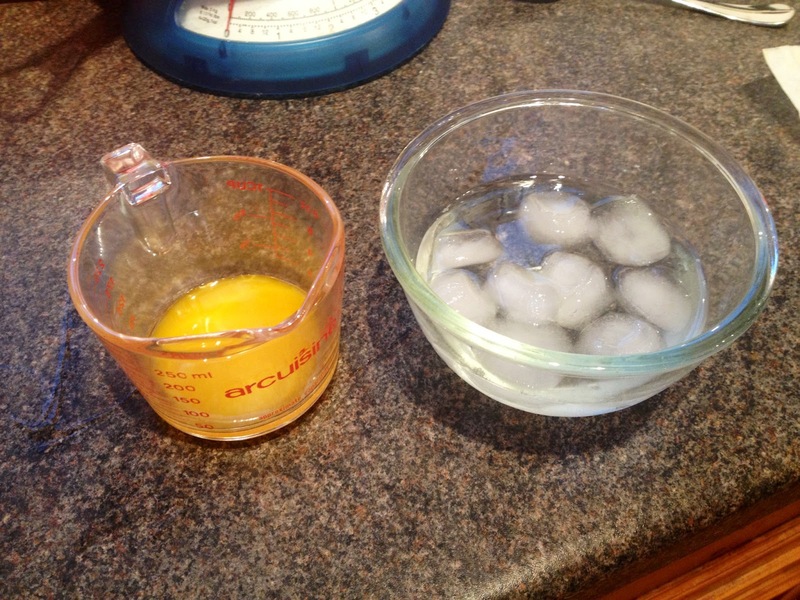 Mix the egg yolk with the iced water and gradually pour in whilst mixing. 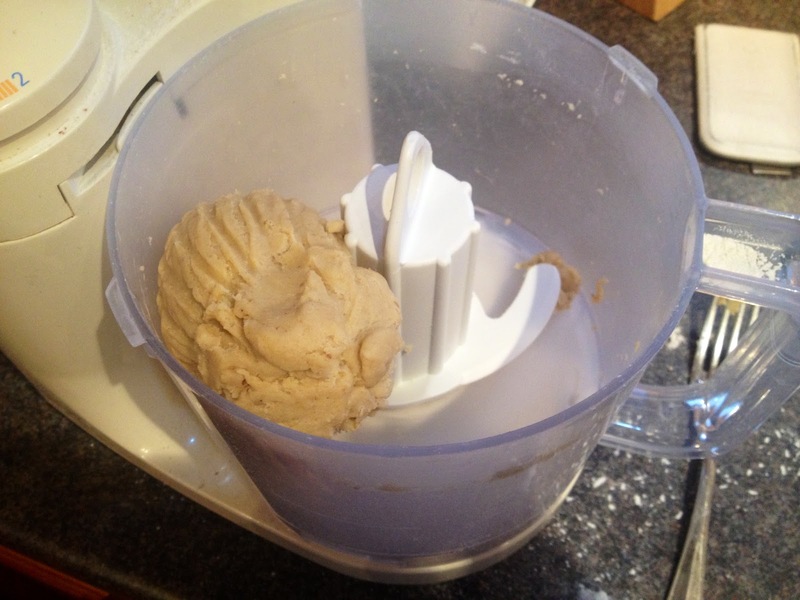 The mixture will start to come together and form a dough. If you’ve used up all the liquid and the mixture still has crumbs add some more water a teaspoon at a time. 4. 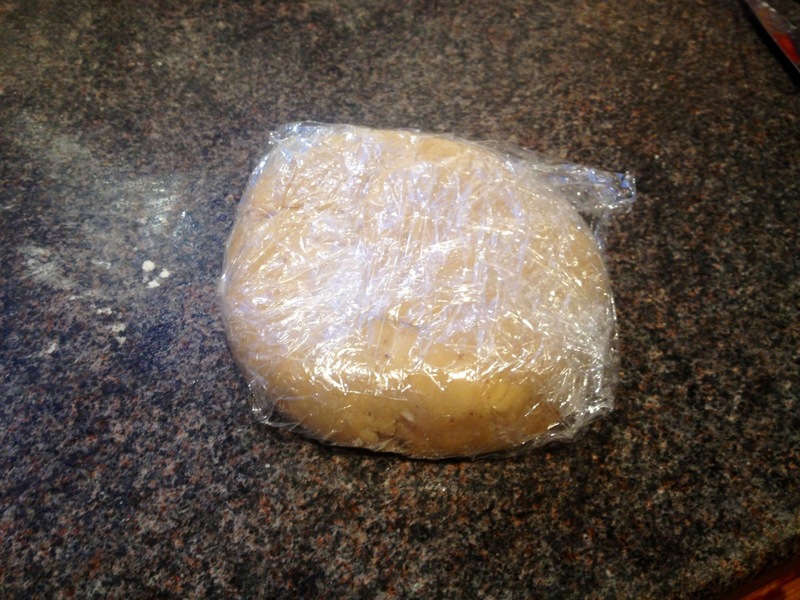 Remove the dough from the processor and flatten into a disc, wrap in cling film and chill in the oven for 20 minutes. At this point preheat the oven to 190°C. 5. 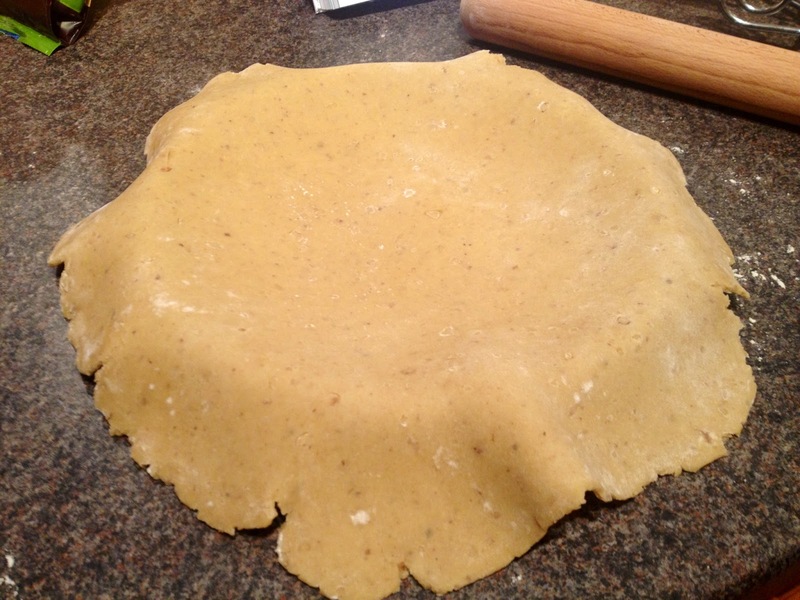 Remove the pastry from the fridge and roll out on a floured surface until large enough to cover your flan tin. 6. 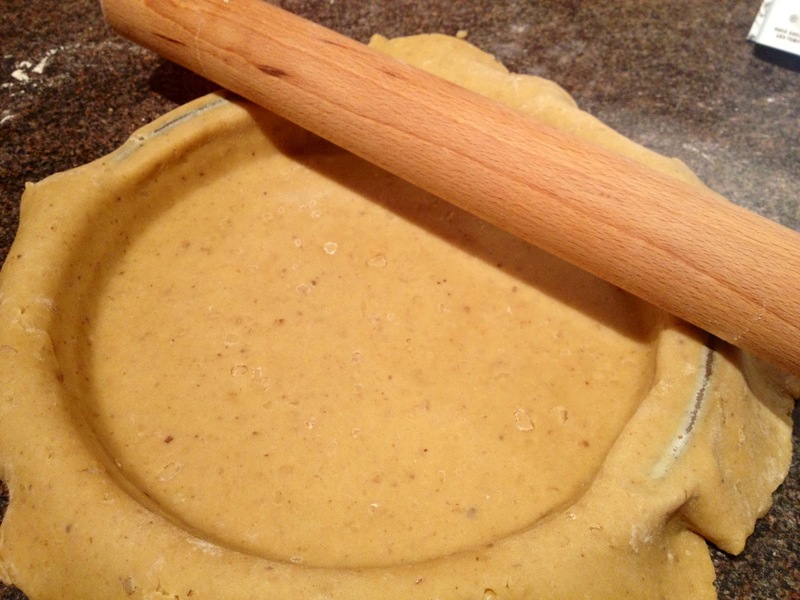 Use the rolling pin to lift the pastry and rest it over the tin. 7. 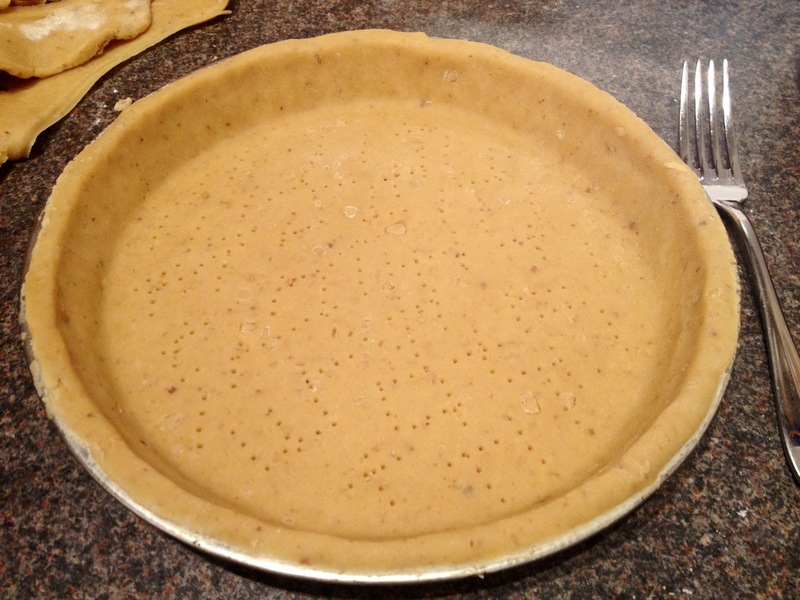 Gently press the pastry into the corners and into the sides of the tin. 8. 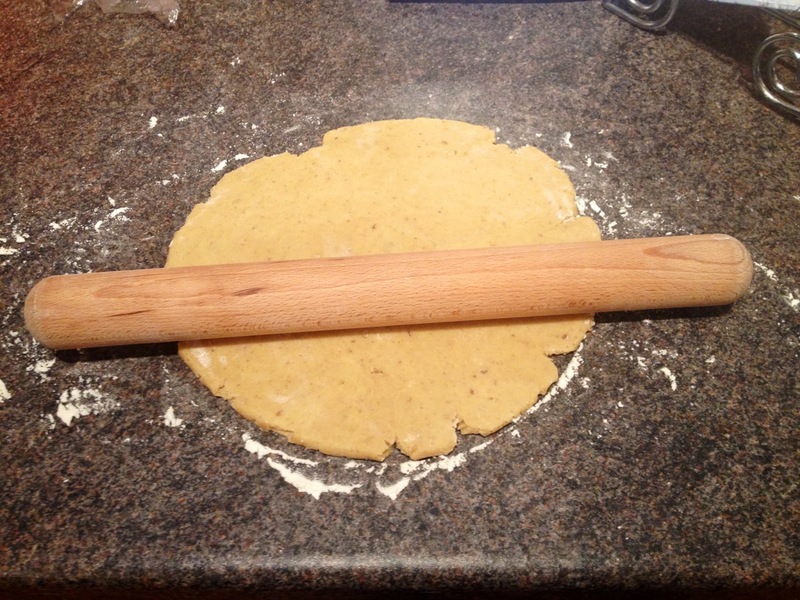 Roll the pin over the top of the tin to cut off the excess pastry. 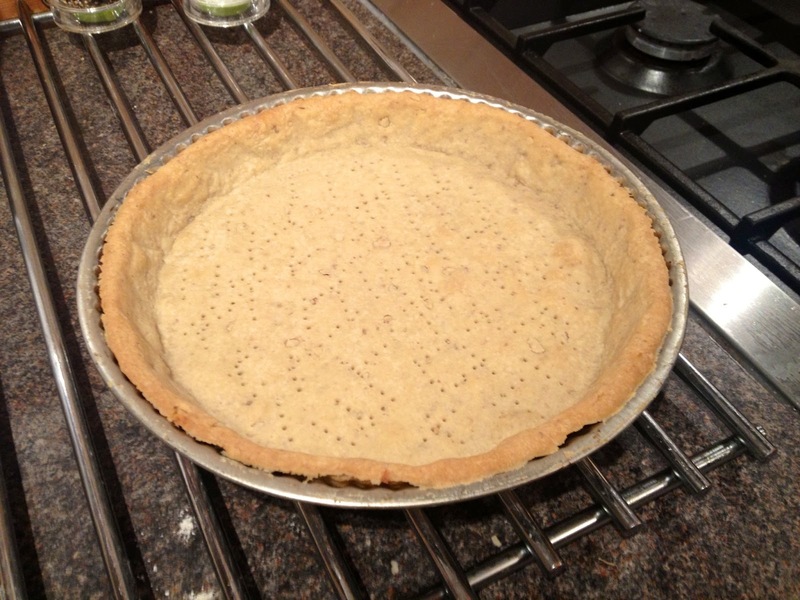 Use your fingers to gently push the sides a little higher than the tin as pastry tends to shrink a little in the oven. Prick the base with a fork. 9. 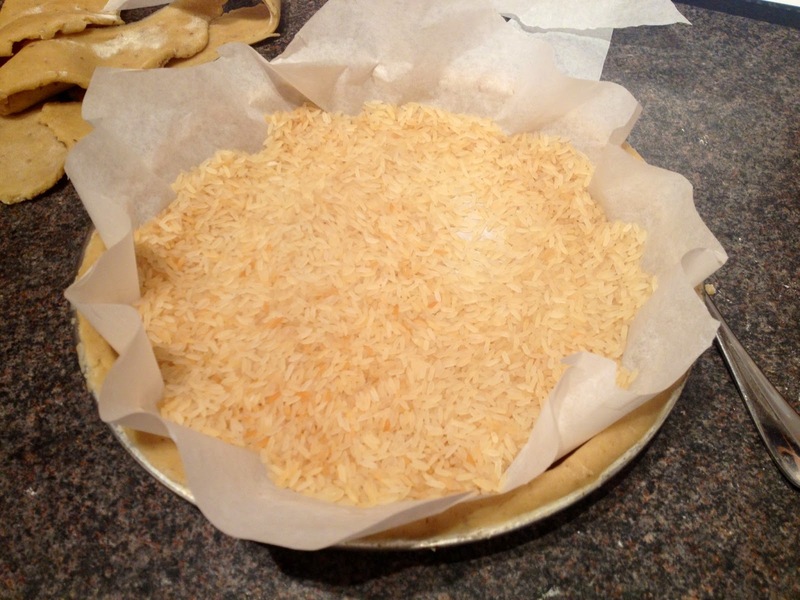 Roughly line the pastry case with baking paper and fill with baking beads, if you don’t have these, uncooked rice will do to weigh the paper down. 10. Bake in the oven for 12-15 minutes. 11. Remove from the oven and remove the paper and baking beads. Return to the oven for a further 5-7 minutes until golden. 12. Remove and leave to cool while you make the filling. 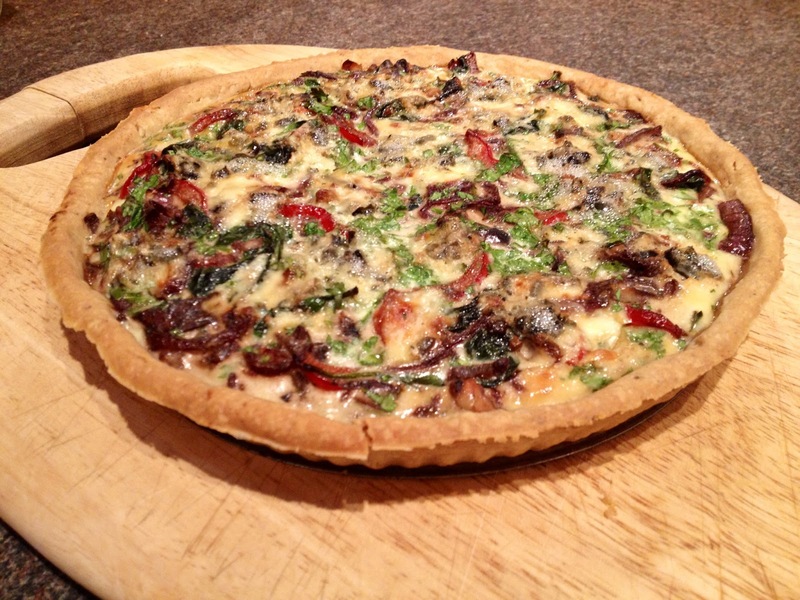 Leave the oven on but turn it down to 180°C and place a flat baking sheet in to heat up. 13. 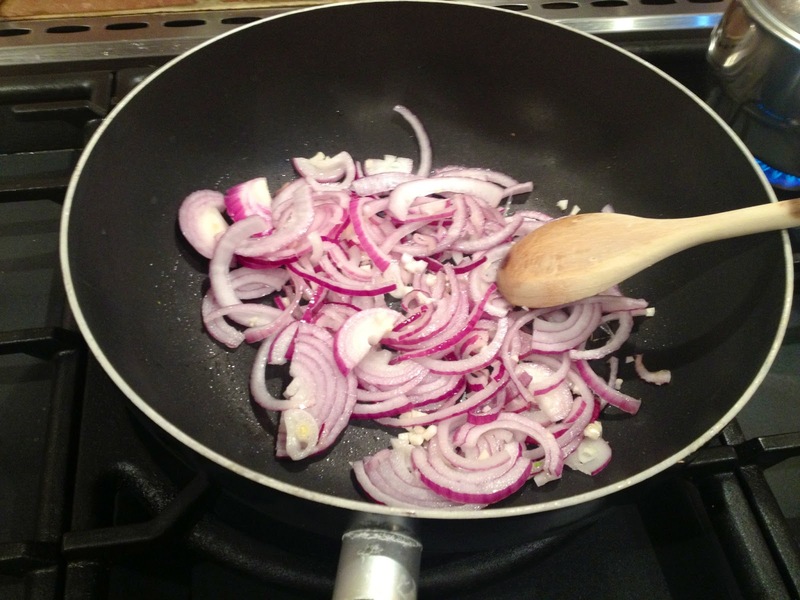 Heat the oil in a large frying pan and start to gently fry the onions and garlic. 14. 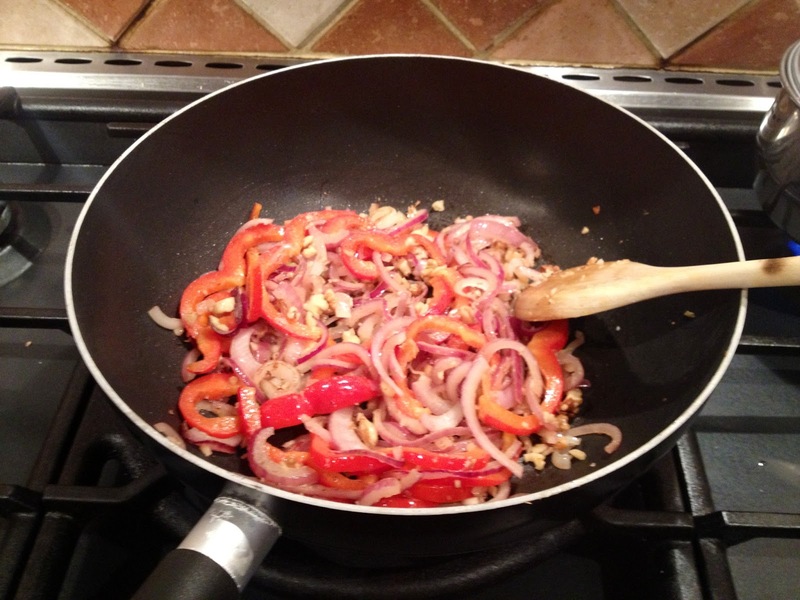 When the onions have begun to soften add the peppers, thyme and finely chopped walnuts and continue to fry for a further 2 minutes. 15. Add the mushrooms and fry until softened. 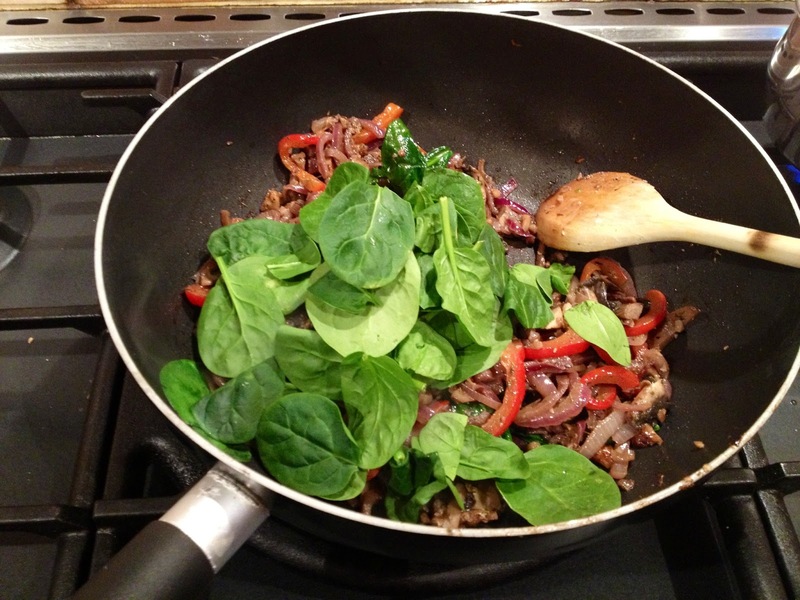 Then add the spinach and allow to wilt. 16. Remove the vegetables from the pan and allow to cool. Season generously with salt and pepper. 17. Beat the two eggs and add the cream. 18. 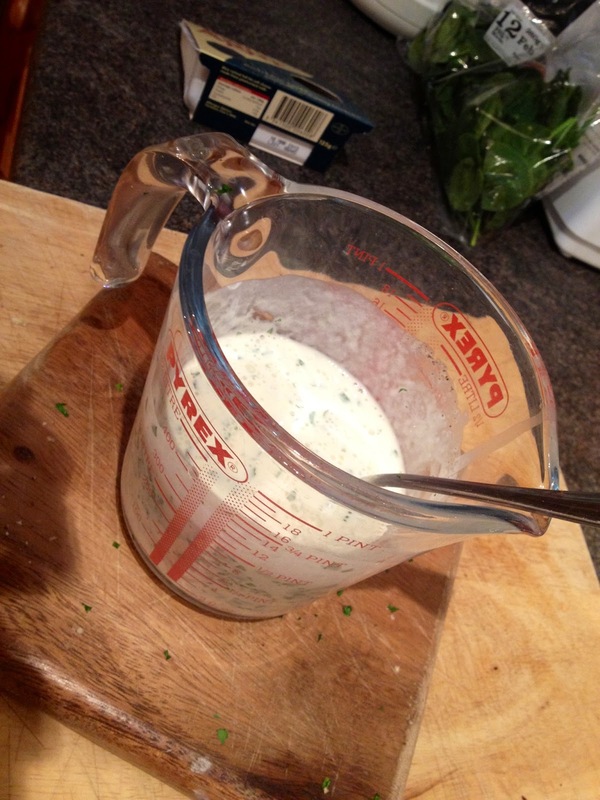 Finely chop the parsley and stir into the egg and cream mixture and season with salt and pepper. 19. 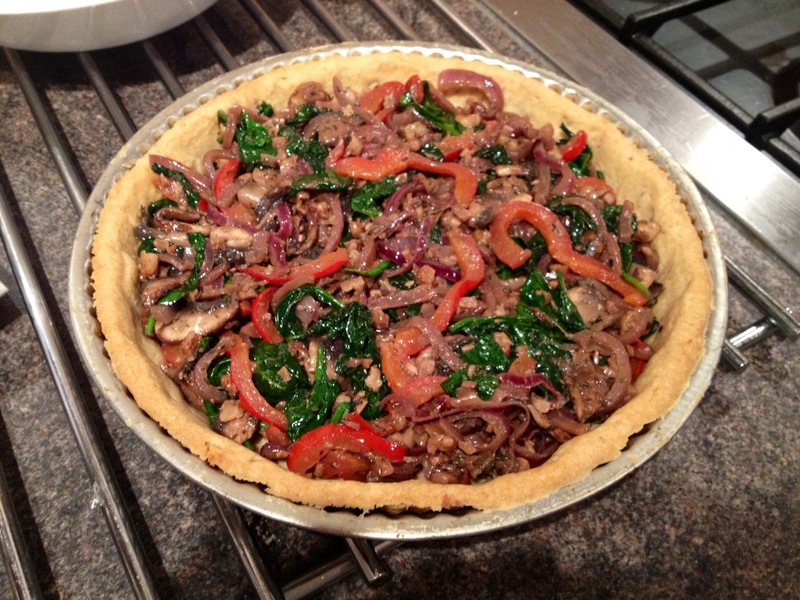 Fill the pastry case with the vegetables when cooled and ensure they cover the base and are spread evenly. Then pour over the egg and cream mixture filling the whole case. 20. 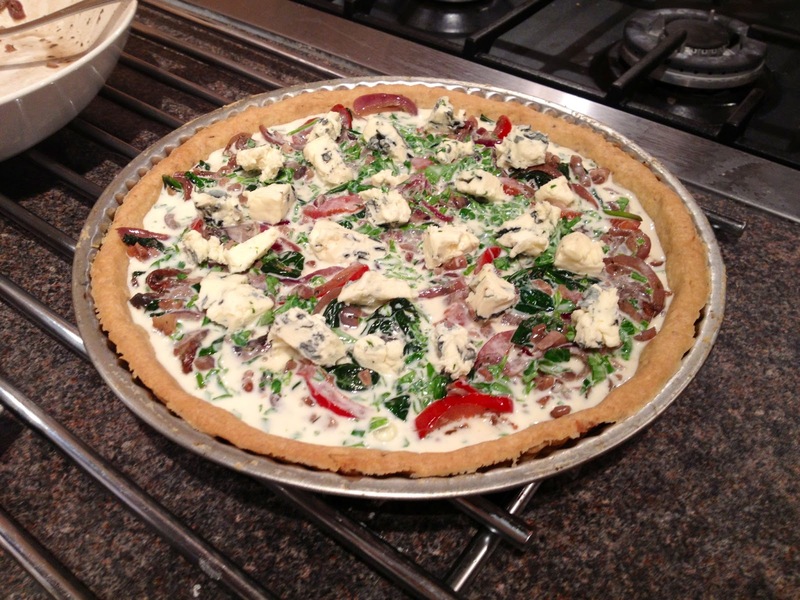 Crumble the blue cheese evenly over the top. 21. 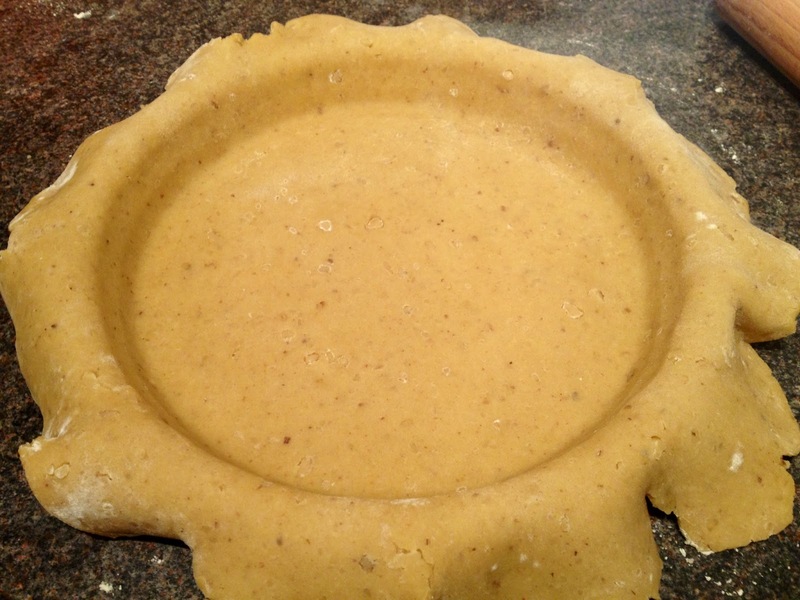 Place the flan tin onto the baking sheet that’s been heating up in the oven and place in the oven. 22. Bake in the oven for 35 minutes until the egg mixture has set. 23. 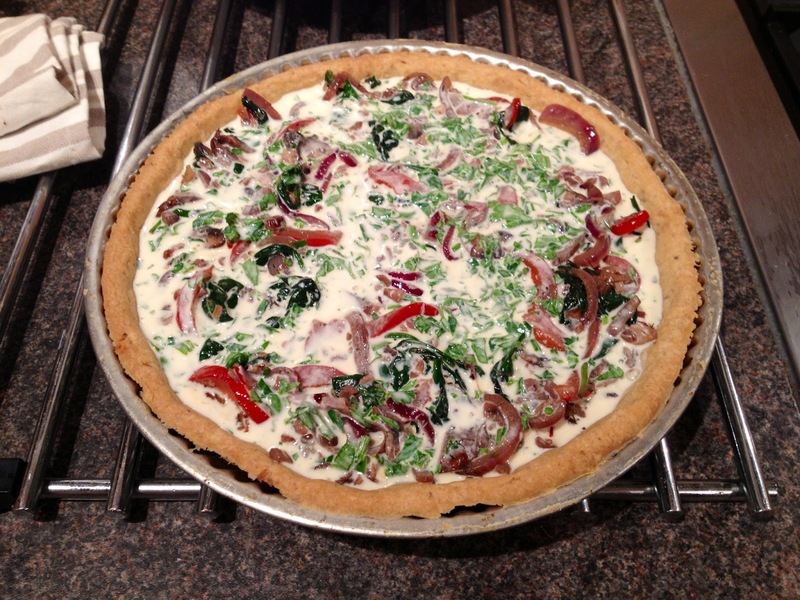 Remove from the oven, remove from the pastry case and allow to cool for five minutes before serving. 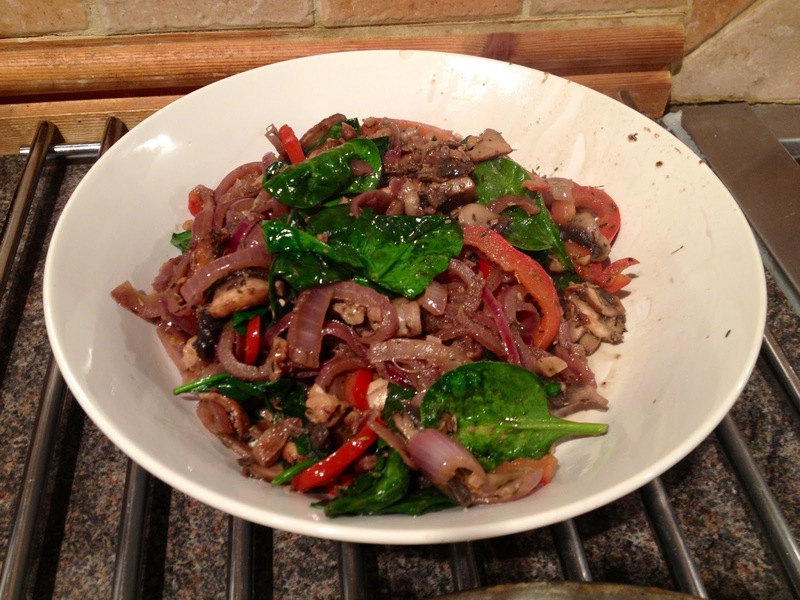 This made a delicious dinner and I’ve even got a slice left over for my lunch tomorrow!